Hope you are keeping safe while on the run from the Illuminati. I am writing to you to ask your help, but I think what i am proposing will help you also. As you know the Illuminati started millions of years ago on the lost continent of Atlantis. Their power still derives from the powerful energy crystals they they brought with them from that mysterious land. It is said if you possess one these Atlantean crystals no illuminati can harm you. But I’m sure you must know all this being an educated man of taste and sophistication who has travelled this world and beyond. I can now tell you that I have discovered the location of the lost continent of Atlantis. Yes, you read that right. I have found Atlantis. An achievement that explorers, adventurers and at least 54 Discovery Channel prime time series' have failed to achieve. And the best thing? It's not under miles of oceanic water or below billions of tons of rock. 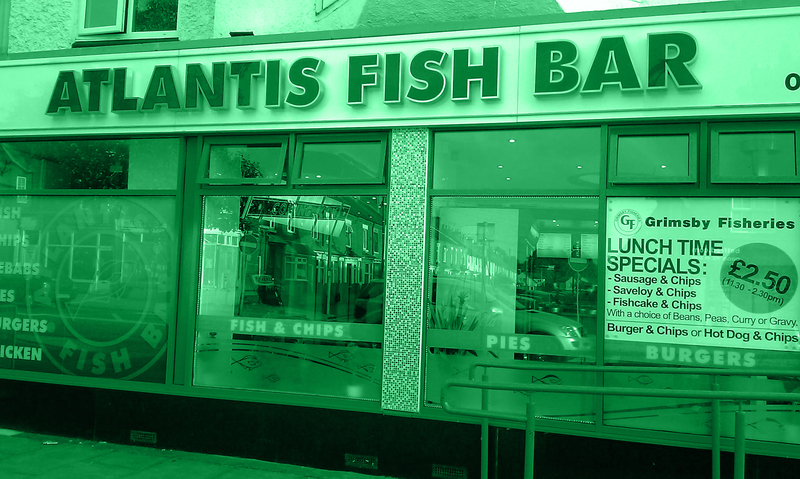 No, the mysterious land that has held man in its spell for aeons is hiding in plain site as the Atlantis Fish Bar, Uppingham Rd, Leicester, England. The brazenness of it all! My plan is this, infiltrate Atlantis, liberate the energy crystals and get one to you so the Illuminati will be off your back. I would of course keep all media rights. It's not going to be easy as well you know these Atlantean Illuminati types play for keeps. The danger will be intense. I need £2.50 so I can enter the continent for the lunchtime Fishcake & Chips special. I’d go later but my bus home stops running at 5PM and I think it doesn’t open till 5.30 at night. Send the money as soon as possible and let me help end your life on the run. Hi Nigel - I'm sorry to tell you that I already own that branch of Atlantis. In fact, I own all the Atlantis branded eateries in the East Midlands and several in the Home Counties. So far none of them has yielded any crystals and several are currently trading at a loss. If you pop in tomorrow ask Bethany, the goth girl who works on Wednesdays, that I said you can have a fish supper on me. You can also keep the media rights.